Something about this little scene stopped me in my tracks on my bike ride today. 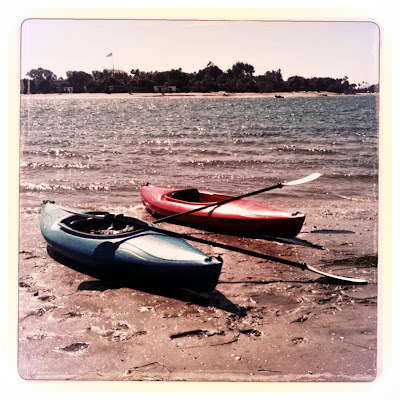 Two kayaks sitting on the shore, side by side, primed for adventure. Potential resting on the paddles. preparing to push off from a familiar shore into a vast unknown. Our toes met comfort on the bay. We found such treasures here. But the tide pulls us in now, tugging softly at our dreams. It's time to find our courage and our strength. 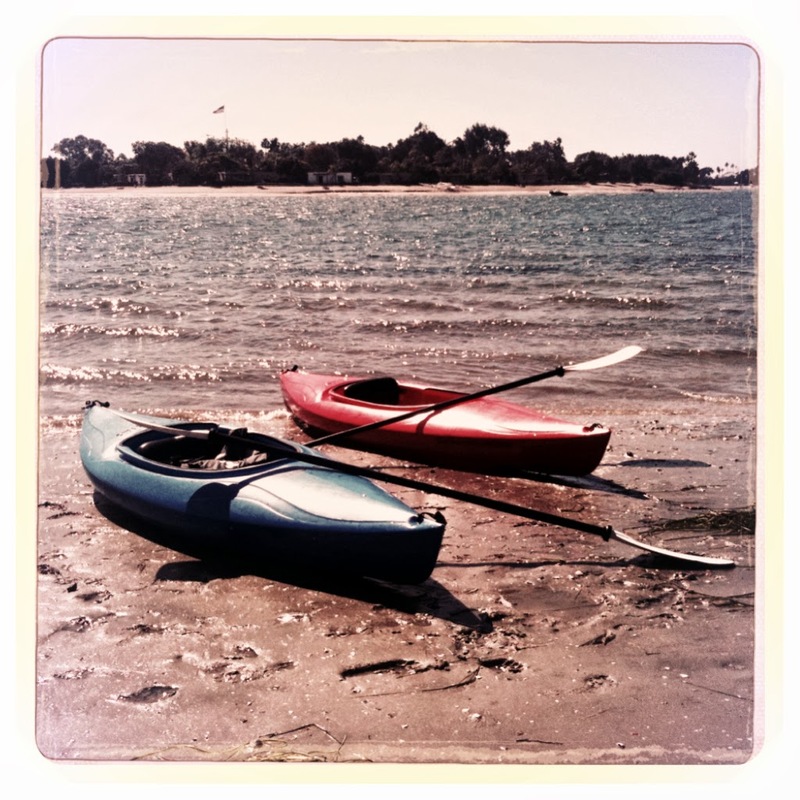 It's time to paddle out and explore. How different life feels when we view it as an adventure rather than a series of challenges and uncertainties. Primed for adventure, you and I, side by side. Potential resting on our hearts.